In a recent study of key executives about their marketing strategies for the upcoming year, 31% said that live events, like trade shows, are their most effective way to capture new leads/customers. 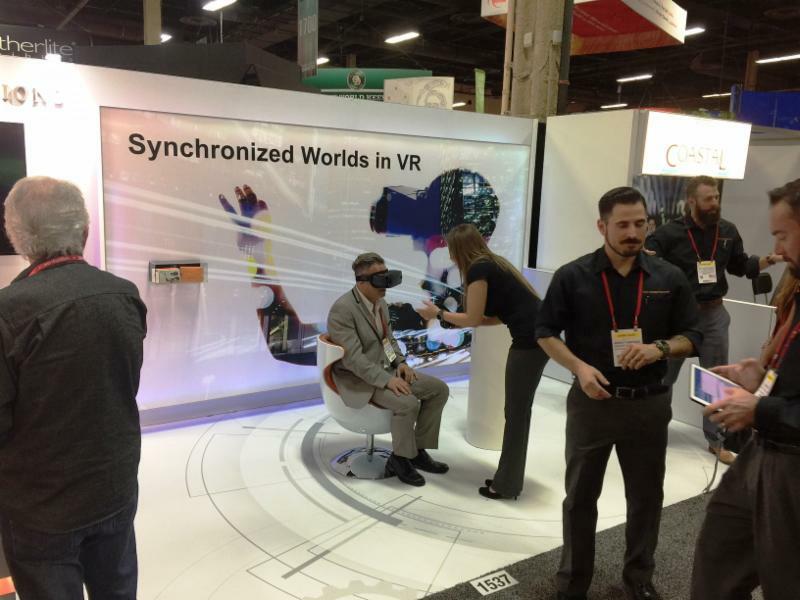 That being said – there are right ways to effectively marketing at trade shows and then there are…other ways. Huffington Post offers 15 Trade Show Secrets and the number one tip is to make a great first impression. As they say “you only have one chance to make a first impression.” That saying is never more true then at a busy, jam-packed trade show event. “Studies show that your first impression has a high correlation with the actual long-term status of your relationship. There’s not much time for you spare on your initial presentation either. Our first opinion of someone forms in only one tenth of a second. Not surprisingly, we see similar results when someone’s first impression is of a brand. It takes only one fifth of a second to form an opinion of a website and 94% of that opinion is design related. 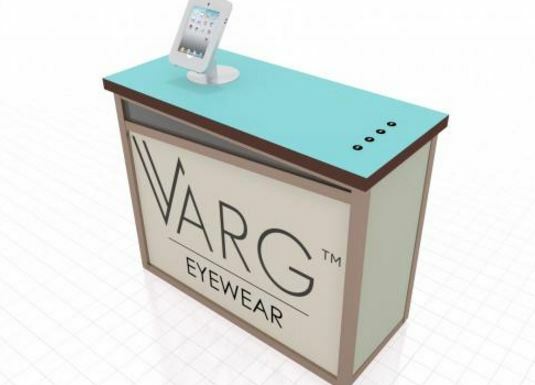 So how can your trade show booth stand out from the rest? From your trade show design to your people – make sure you are inviting to those that pass by your exhibit space. It starts with a smile and an invitation to come see what your company is all about. One way to stand out from the rest is by offering a hands-on experience that users will enjoy. In this example below, we offered a virtual reality experience that allowed users to touch and change the imaging that they saw on the screen. It was a great way to demonstrate products while being fun and engaging. We are all so connected to our handheld devices, for communication, research, social media and more. Yet, when our battery runs low, we tend to go into a panic. Trade show exhibits that offer an indispensable service, like a charging station, tend to capture the attention of visitors to their booth. It is hard to resist a trade show booth that wows the crowd with their LED displays. 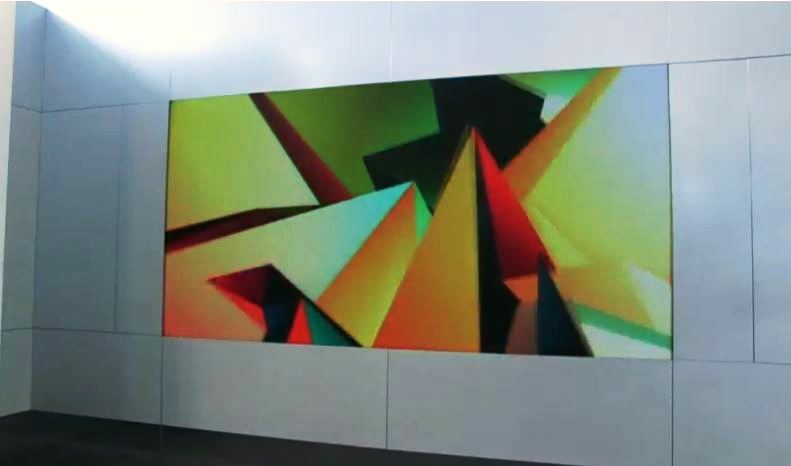 With technology advancements, the options are almost limitless; from sensor flooring to timed/customized light shows to full wall graphics – attendees will be flocking to your exhibit just to see what’s next on the screen. If you want to learn more about how you can make a lasting first impression with your trade show display, call us today 1 (800) 709-6935! 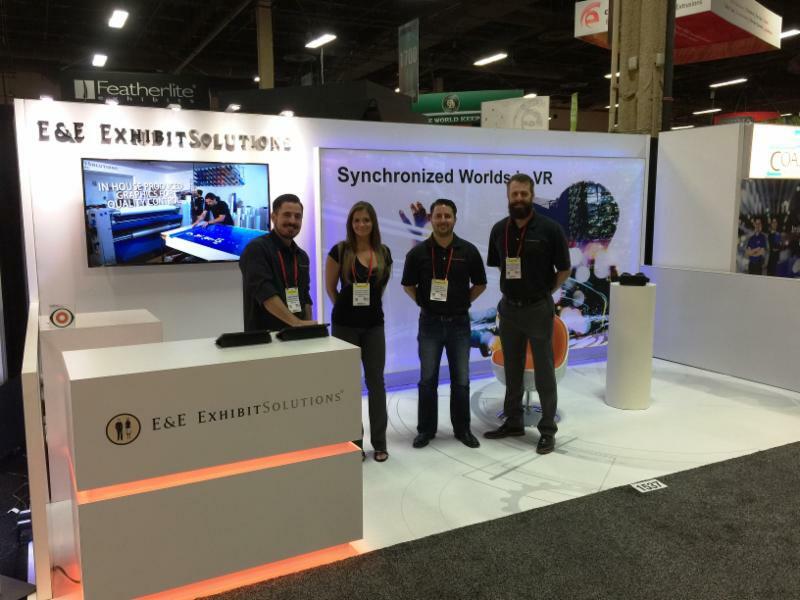 Let E&E Exhibit Solutions® bolster your next trade show!